In the late 1980s, according to an archived investigative report in the American Spectator, Hillary Clinton was connected to Lafarge when the firm was involved in facilitating CIA support for Saddam Hussein’s secret weapons program. Assange also spoke about Hillary Clinton’s close ties to Saudi Arabia. 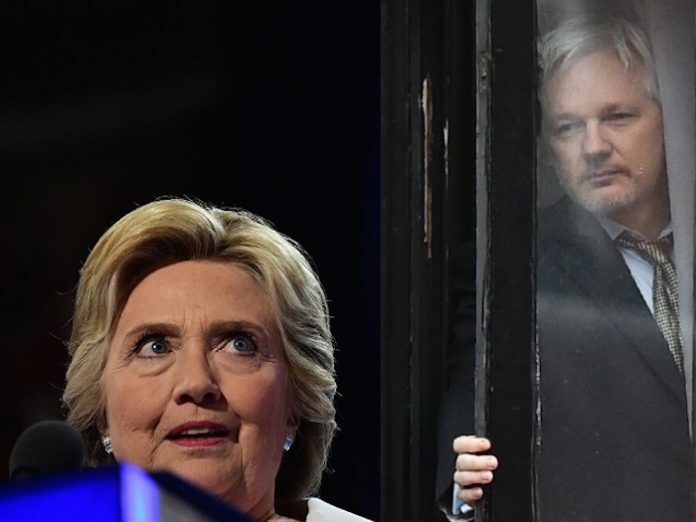 “Saudi Arabia is probably the largest single donor to the Clinton Foundation, and you can see Clinton’s arms export policies when she was a secretary of state favoring extensively Saudi Arabia,” Assange said. He also suggested Clinton had a reason for attempting to smear rival Donald Trump over his alleged ties to Russia: She has her own links she’s trying to conceal. Senior Democratic officials see these email leaks as one of several curveballs that could swing the election, especially if they are released in October. “We may be headed into uncharted waters, and this has the potential to spiral out of control,” veteran Democratic operative Jim Manley said. 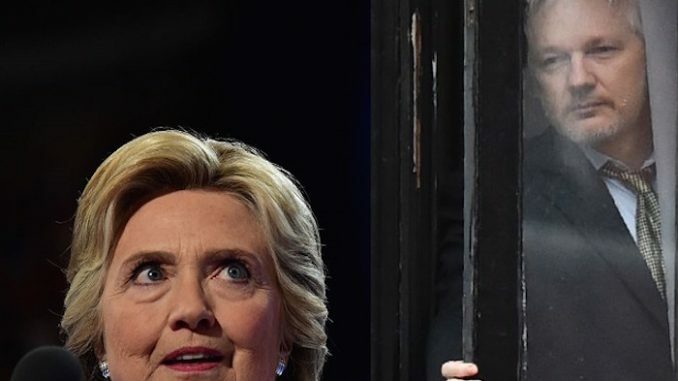 Speaking at the Green Party convention on Saturday, Assange responded to criticism that Wikileaks has started to resemble an opposition research firm working to undermine Hillary Clinton, more than a non-partisan platform for whistleblowers. He told the convention that Wikileaks doesn’t target individuals — it’s all about publishing the truth.